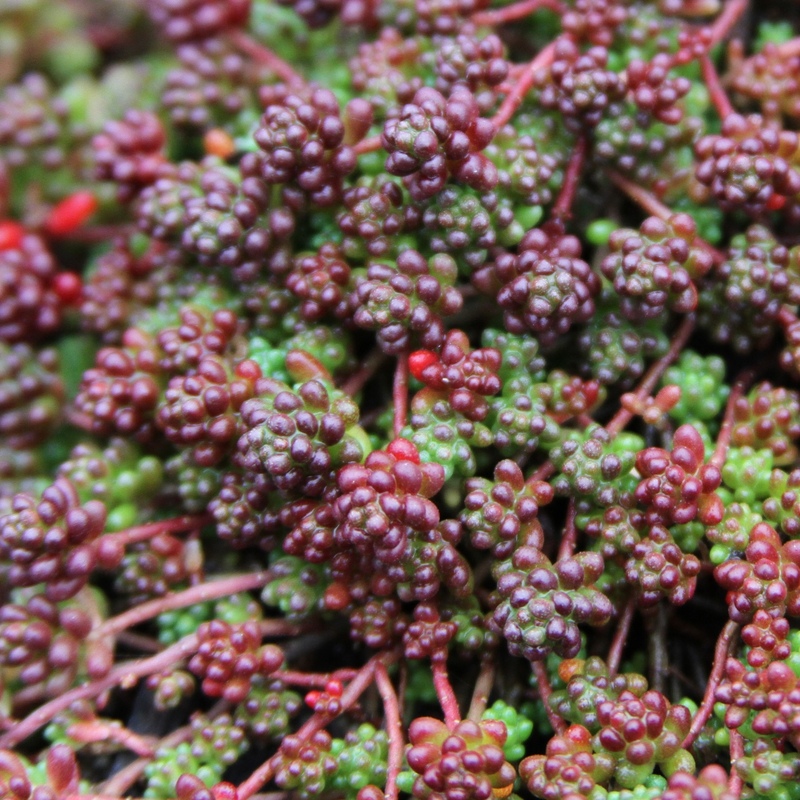 Sedum album 'Coral Carpet'. Small, fleshy leaves are coral when new, maturing to green and becoming reddish-bronze in winter. 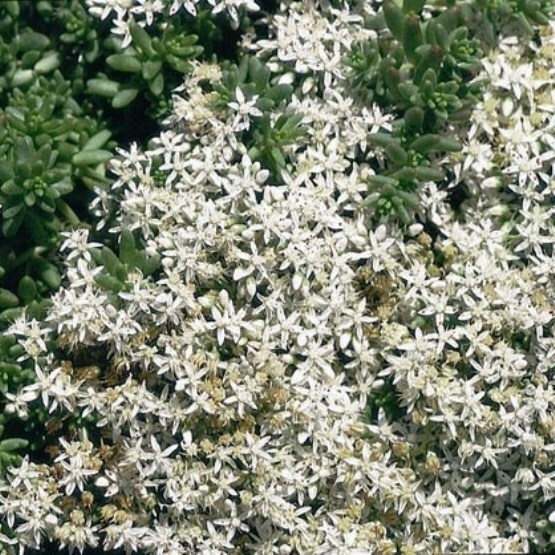 Small, star-shaped white flowers appear above the foliage. 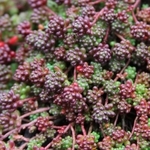 An easy to grow groundcover or rock garden subject. Evergreen.